It is said that the human ear reacts to certain sounds which is telling that we’re wired for sound. Sounds, most notably music, trigger emotions, auditory pleasures, memories and associations. For branding, sound is multi-sensory communication and a holistic corporate model which drives perception, creates attention along with a familiar association. It’s also a means of differentiation from the plethora of advertising media. Whether it’s a memorable Intel or Coca-Cola jingle, a mega artist’s association with a soft drink or lifestyle brand, Harley Davidson’s distinctive and trademarked motorcycle exhaust sound, or Kellogg’s investment in the power of auditory stimulus with its cereal crunching sounds, marketing strategically through proprietary sounds is increasingly becoming a prevalent means of forming a distinctive brand personality. The advent of digital media and devices with built-in audio, such as smart phones, tablets, streaming media or podcasts, increases the opportunities for companies to utilize audio branding in their overall communication strategy and brand experience. Samples of audio identity can be viewed and heard here. – Bentley Motor Cars developed “The new sound of Bentley” — a stirring and thunderous soundtrack and the prelude to a potent new Bentley driving experience. – Hip boutique hotels such as Puro Hotel in Mallorca, whose beach bar has been voted one of the world’s 50 best by CNN Travel, surrounds you everywhere with lounge/chill-out genre of music compiled by its in-house DJ ‒ whether you open their website, choose to listen to their on-line steaming player, purchase a CD, relax by the pool sipping a passion fruit mojito or come nightfall, gather around to dance to their house tunes. – Fashion retailer American Apparel, geared for a ‘twentysomething’ audience, constantly plays a fast paced “feel-good” tempo type of music in the background. It is streamed from its own Viva radio station – its official in-store music and audio network. As part of its overall store ambiance, it plays it live in over 160 of its retail locations worldwide. This feat has demonstrated its influence on shopper purchases resulting in increased sales. Fashion design icon Karl Lagerfield once said that “Fashion and music are the same, because music express its period too.” Music, effects, volume and vibrations ‒ the tone and the energy of any place can be set with the right music selections. 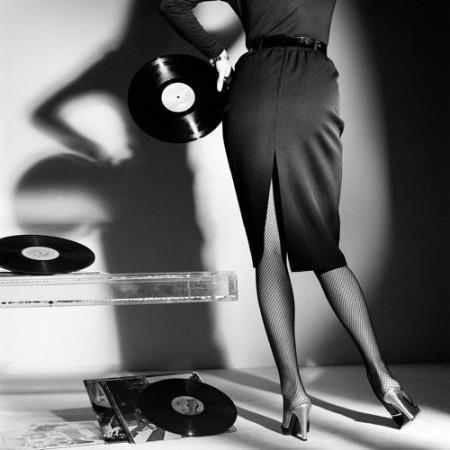 Upbeat music that would be appropriate in the evening may not appeal to morning customers who may yet be fully alert. If you have an Italian-themed bar, you may want to interject some Italian music from artists like Zuccero or Eros Ramazotti. If your theme/branding and ambiance is geared to a very hip, young audience, it will likely suit your customers to include songs with a driving beat from cutting-edge alternative and electronic artists. Designing and implementing custom music and visual strategies emotionally anchor a brand to its clients. The purpose of branded digital music compilations is to turn your listeners into disciples of your brand. 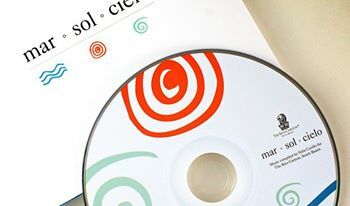 Every aspect of your custom CD speaks volumes about your brand. That said, custom produced white label CD’s place equal importance on print, media, and visual elements in addition to the music. Specialty music compilation companies such as Sonodea and Custom CD Corporation oversee all logistics related to custom branded CD music compilation and development. They work closely with clients on everything from the music themes to the packaging to the visual content. This ensures that the music, look and feel of the CD resonate with their customers’ clientele and target demographic which forms part of the customer experience. Sonodea also creates sound environments for retailers, boutique hotels and restaurants to enhance the auditory role of the entire ambiance. A brand’s identity is comprised of visual, auditory and other sensory components that create recognition in the mind of the consumer. The power of music has the ability to seduce the soul, raise the spirit, build social connections, wiggle our bodies to the rhythm, increase purchases, as well as develop, strengthen and recognize brands. Sound branding supports refining brand communication and in designing a better sounding environment. In some fashion, all business is show business and storytelling. Brand image is all about the experience, perception and differentiation you create in the customers’ mind. Sound branding forms part of the equation and bringing all this into meaningful consideration by applying its multi-sensory approach to attracting and retaining clientele to your brand and business establishment. It is, therefore, essential to consider audio brand management and strategic use of sound in the total branding equation. Consider Affluence Marketing as your business source for sound advice and implementation of your strategies.